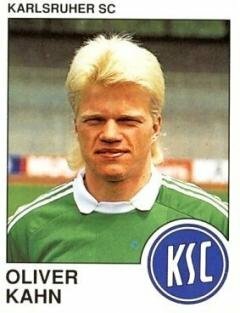 Apparently, it was acceptable in Germany to look like this in the Eighties. Shocking stuff. Apart from an albino silverback gorilla, Kahn really reminds me of someone here, but I can’t think who. Any suggestions for Retro-Kahn lookalikes most welcome. That ‘german ambassador of comedy’ comedian? ?